Even the sand has a touch of red, as it was partially formed from the previously shown red rocks. 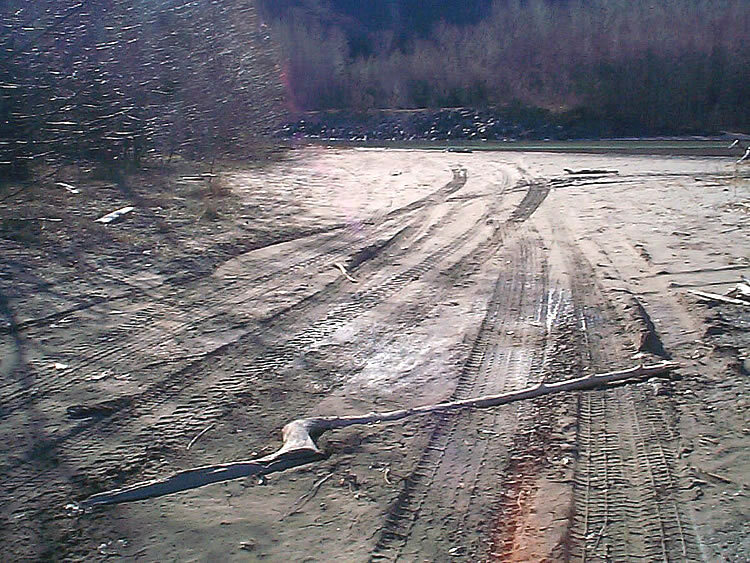 This is the end of our morning visit to the Copper River, March 24, 2005. Photo © Al Lehmann, Terrace, B.C.